I've been driving for many years now and I still don't think I am very clear about some of the traffic rules in Malaysia. So let me ask you, my dear readers, to help me out here so that I can be a better driver. 1. Is the emergency lights only used when your car is having a breakdown and is stationary? If yes, why do I still see cars in front of me with their emergency lights flashing every time the driver brakes? It irritates the hell out of me! 2. Imagine you are driving on a two-lane road and you reach a junction with traffic lights. You intend to go straight. Is it wrong to stop on the left lane when the light turns red? The other day, I was given the horn when I stopped on the left lane of a two-lane road. Obviously the driver behind me wanted to turn left and my car was blocking him. So was I wrong to stop on the left lane when I had no intention of turning left? 3. 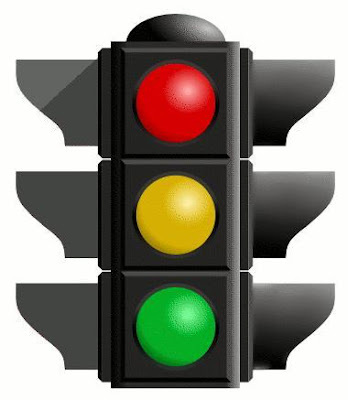 When you are on the right lane of a four-lane road, do you still need to switch on the right signal to indicate you are turning right at the traffic light? Isn't it obvious that you must be turning right because if you are going straight, you might be blocking the car on your left lane which may also be turning right? Besides, if you switch on the right signal, wouldn't the driver behind you think you want to make a U-Turn? 4. Is it even remotely possible to switch on the left signal light when you want to turn right and vice versa? I have seen this happened so many times there is no doubt that this is very possible but I just don't understand how it could possibly happen! Do you? 5. I am driving on the main road intending to turn right into a small road. A driver on the small road intends to turn right onto the main road. Who has the right of way? I would think I have the right of way, correct? Then why do some drivers force their way out from the small road as if they have the right of way? Malaysians have atrocious driving habits! Yes, I think it's wrong to be hogging the left lane where it's designated for turning left only. But if it's for both, i.e. going straight ahead and/or making a left turn then you're not in the wrong. Some drivers irritate me when they don't signal to others when turning left or right. That can be quite dangerous as others cannot anticipate what's going to happen. some drivers so crazy just not far away from traffic light they will overtake just to be infront of you and still they are stuck at traffic light. here in Phil. We all have reckless drivers and drunk drivers too lol gish what a shame..
Foong, true that some of us are using the hazard lights wrongly. They should be used while the car is stationary not while it's moving. In point #2, I'm with Mei Teng. #3, I'm with you on this but there are times when drivers who intend to go straight, hog the right fourth lane without a hint of where they are going. That's inviting collision by car at third lane turning right. Dangerous move this one. #4 deserves benefit of the doubt but it is dangerous to themselves and other road-users. #5 - not sure about the rule on this one but obviously both drivers want to get out quickly and safely. I'm sure all drivers would have experienced being in both situations and felt the exasperation. Foong, a great topic for discussion though all this driving talk reminds me of these goofy moments. Oops! Have a wonderful day ahead, Foong. And safe driving, this being a busy week and all. Gong Xi Fa Cai!! For point #2, if your left lane is dedicated for turning left and you're stopping there, then it's not right. For point #5, yes you have the right of way... But of course, most Malaysians are kiasu and don't care about the rules on the road, don't you think so? number 4.. why would anyone do that?? haha.. it's either a mistake (by not turning the signal off) or the driver is noob! oh..you shouldn't stopped at the left lane if it's meant for turning. Go to the right lane next time to drive straight. 2. This is driver problems! He obtains the kopi O license. 5. You are right... He dont know to drive at all. Our non systematic road system is the cause of all this problem! Yeah! It is wrong to stop on the left lane bro. I was caught once during Chinese New Year. :p Had to listen to some music from the police. #2 - not wrong if stop at left lane, unless this is a left-turn-only lane, indicated by an arrow on the road. My own experience is: I turned on the right signal, but other vehicles still overtook mine from the right! Why? Obviously I thing it is because they took "flying" license and not driving license. lol it's been already 7yrs i dont drive in malaysia... but one thing for sure... even you drive properly... those stubborn idiot ridiculous street barbarians will still create problems... just wish you and all drivers there all the best! 2. it's not wrong, but it definitely irritates the hell out of ppl. say if you're in his position and u wanted to pee so badly, and that junction turns into your house. wouldn't u honk? another annoying thing, putting up a high beam on the highway. what's so high about the highway that a high beam lights is needed? it's a possible hazard-causing thing to do, because the car in front of you just can't see the rearview mirror properly when the high beam's reflecting on it. That's why they say that if u can drive in Malaysia, u can drive in anywhere in the world. Who are they? Maybe that's just my belief. The proximate cause I would say would be the inconsistency of the system on the control of traffic lights that lead to all these confusion. It could be due to space constraints at traffic junctions or due to the poor efficiency of the authorities concerned.I wonder do the authorities do a routine check on the traffic lights, the drawing of lines etc etc. it is always safer to signal right or left of our intention to turn. This is Malaysia la my friend. In Malaysia, when it comes to driving, Anything Goes (pun intended ... LOL!). I'm on the road a lot, one day let me do a post about my experiences with Malaysian drivers and their crazy habits! I've always wondered about the hazard lights one too... why do they have to do that irritating thing? I really can't see any purpose in it. But then again as u quite rightly pointed out, there are just so many silly things happening on our roads! #4 that frustrates me too! I thing it is because they took "flying" license and not driving license. haha... and i hate people who switch on the hazard lights when it's raining! Tats why i love public transport. #2. We are at a fix if wanna go straight. Keep to the right lane is for turning right and you are stuck behind those wishing to turn right. When take the left lane land exactly like your case. Something not quite right with the traffic system. #3. No issue it would not confuse much though not necessary. #4. Oh like that also can. "In their left brain there is nothing right and in their right brain there is nothing left." #2, I've seen markings on the left-lane indicating "straight & left-turn" - so u may not be entirely wrong. The guy behind just gotta be a little bit more patient lol! Another thing that frustrate me is that Msian do not know how to use roundabout! Sigh! I'm both. I'm a very safe driver because I know just how bad a driver I am. I know all of my mistakes, therefore I know all the mistakes other drivers can and will make, so I can avoid them. lina, good lah, cannot drive means every time you have a chauffeur to take you anywhere! LOL! mei teng, so if there is no arrow indicating left turn, I am not wrong to be at the left lane even if I want to go straight? Yes, drivers who do not signal irritate me also! bluedreamer27, drunk drivers are very dangerous! They are murderers! happysurfer, yes I think people who use their hazard lights wrongly should be fined! I think those who wish to go straight on a 4-lane road should stay at the middle lanes and not at the furthest right! Oh! Those goofy moments are really funny! I can't imagine anyone's car ending up like those! Haha! iamthewitch, but the left lane I was on had no indication it was just for turning left, so I think I am not wrong to stop there right? Yes, agree most Malaysians are kiasu drivers and they don't observe the rules! kenwooi, but if the lane had no arrow indicating it's for left turn, don't you think I can use that lane to go straight? As for the light signal, as I said, I still don't understand how any driver can get it wrong. I mean, how can you turn right and switch on the left signal? Just does not make sense to me! chrisau, but the left lane is also meant for going straight! CH Voon, so those people who misuse the hazard lights are actually trying to show off? Which driver problem you mean in #2? So you agree I have the right of way? Good! Just too bad Malaysian drivers don't follow this rule! tekkaus, yes, they have modified the lights and I hate it!! They should be fined for modifying the lights! Flying license and not driving license? LOL!! fufu, so you only drove once in your hometown? And you mainly use public transport and tumpang your friends' cars? Hmm, should I say you are lucky or unlucky? Haha! Oh, yes very irritating of some drivers to put on the high beam indiscriminately. And dangerous too! chris_lim, really? Somebody said that? So we are really horrible drivers? bananaz, I agree with the traffic light control system and routine check by the authorities do contribute to the problem. オテモヤン, thanks for the spam! king kong, the misuse of hazard lights really annoys me! These drivers should be fined! monica, definitely! #4 is indeed frustrating! manglish, blinking hazard lights definitely not a new fashion! Haha! Hey, I don't think I am wrong because the left lane had no arrows to indicate it's only for turning left! Courtesy is good but non existent in Malaysian driving! Haha! Oh yes, they should get their right and left correct, but then if you want to turn right, you don't actually need to know it's right, you just need to switch on the right signal, which is in the direction of where you want to turn, if you know what I mean! Yeah, something is definitely not right with the traffic system, but who do we blame? For #3, agree it's not necessary. #5 - so it depends how big the vehicle is? The bigger the car, the more right of way you have? LOL! vialentino, I think riding a motorcycle in Malaysia is like risking your life! rita, I guess if there is a marking on the road that indicates straight and left turn, then I am not in the wrong, but if the road has no marking does it mean I am not wrong also? O yes that is rarely very informative post for driving.thanks for sharing. I think same with Filipinos! Yes i understand for Malaysian driving. Enroll yourself in any driving school to learn driving and traffic rules and sit for the test later. Complete package Rm800. You can go around and compare the package price list and make your own decision. What is the Best upgradation in a petrol car to increase milage ,apart from driving habits? some of points do irritating but ive teached before in driving school to give a signal to right even on the traffic light. so why this need to be irritated? theres much other driving habits is more danger tahn this one. 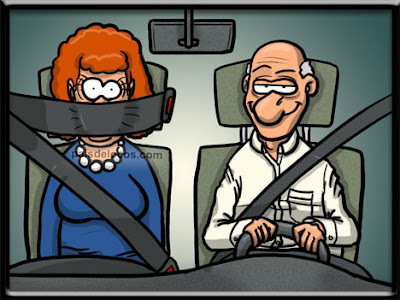 ISSUE #1: SOME CARS NOWADAYS HAVE THIS FEATURE. IT AUTOMATICALLY SWITCHES ON THE HAZARD LIGHTS WHEN THE DRIVER COMES TO AN ABRUPT HALT. IN OTHER WORDS, IF THE DRIVER BREAKS HARD AND UNEXPECTEDLY, THE HAZARD LIGHTS WOULD TURN ON AUTOMATICALLY FOR A FEW SECONDS. THIS IS TO WARN THE DRIVER BEHIND OF THE IMMEDIATE SPEED DIFFERENCE SO THAT HE/SHE WOULD BE ABLE TO BRAKE IN TIME. IT'S NOT A DEFECT/HABIT OR BAD MANNERS. IT IS FOR THE SAFETY OF THE CARS BEHIND. ISSUE #4: SOME CARS, NAMELY EUROPEAN CARS, HAVE THEIR SIGNAL STALKS OPERATE DIFFERENTLY. IN A PROTON CAR, THE SIGNAL STALK IS ON YOUR RIGHT. IN MOST EUROPEAN CARS, IT'S ON YOUR LEFT. IN PROTON CARS, LIFTING THE SIGNAL STALK UP WOULD INDICATE THAT YOU WOULD WANT TO TURN LEFT WHILST PUSHING IT DOWN WOULD INDICATE THAT YOU WOULD WANT TO TURN RIGHT. IN MOST IF NOT ALL EUROPEAN CARS HOWEVER, IT'S THE OPPOSITE. LIFTING UP MEANS TURN RIGHT WHILST PUSHING DOWN MEANS TURN LEFT. THE PROBLEMS THAT YOU ARE FACING MIGHT BE DUE TO PROTON, PERODUA, JAPANESE CAR OWNERS WHO ARE USED TO THE SYSTEM AND WHEN THEY BUY AN EUROPEAN CAR, THEY JUST AREN'T USED TO IT, HENCE THE ERROR. OF COURSE, IT IS NO EXCUSE TO DO SO AS IT IS DANGEROUS. BUT MY PURPOSE IS TO HIGHLIGHT TO YOU THAT THIS PROBLEM THAT YOUR FACING IS POSSIBLE. I HOPE THIS HELPS. Really good article you have posted. It’s peaty good tips for new drivers.